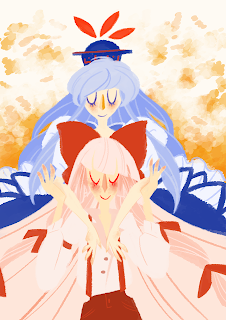 Fujiwara no Mokou and Keine Kamashiwara from Touhou 8: Imperishable Night. Lovely pic Rebecca. like the colour combinations.